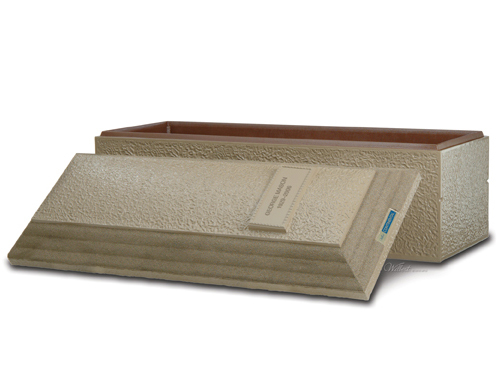 This concrete grave liner is designed to prevent a grave from collapsing. Does not seal, and is unpainted. 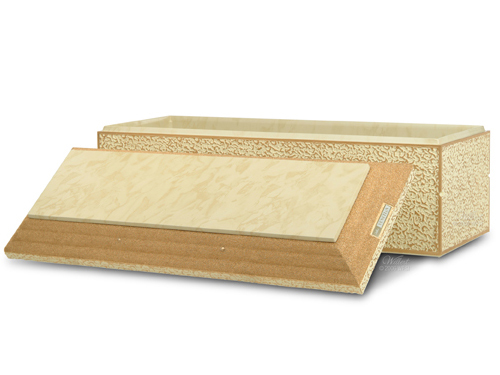 Meets cemetery requirements for outer burial container. 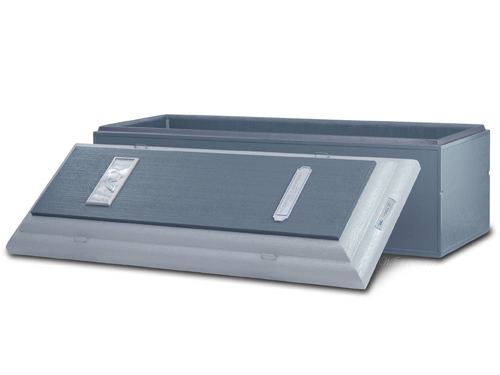 No water-resistant or water-proof properties. Basic protection at a considerable value. 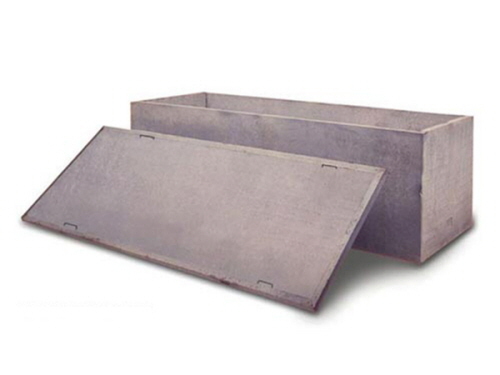 Structure made of concrete with wire reinforcement, concrete tongue and grove sealing with butyl tape, painted any desired color, minimal Protection, no inner liner, no positive sealing.